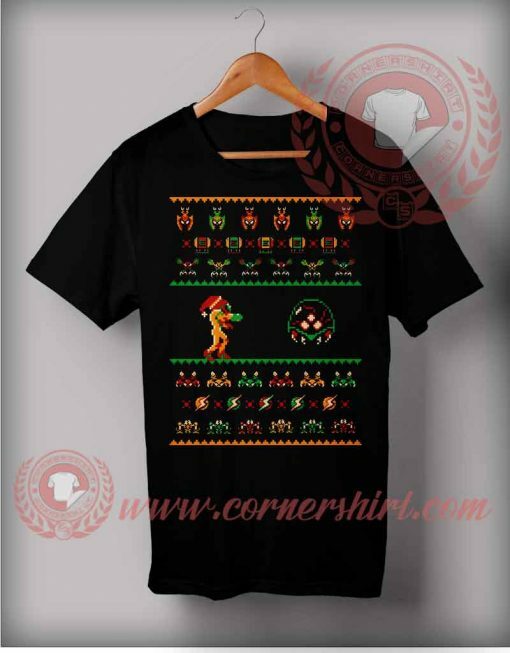 Welcome to cornershirt, home of Custom Design T shirts. 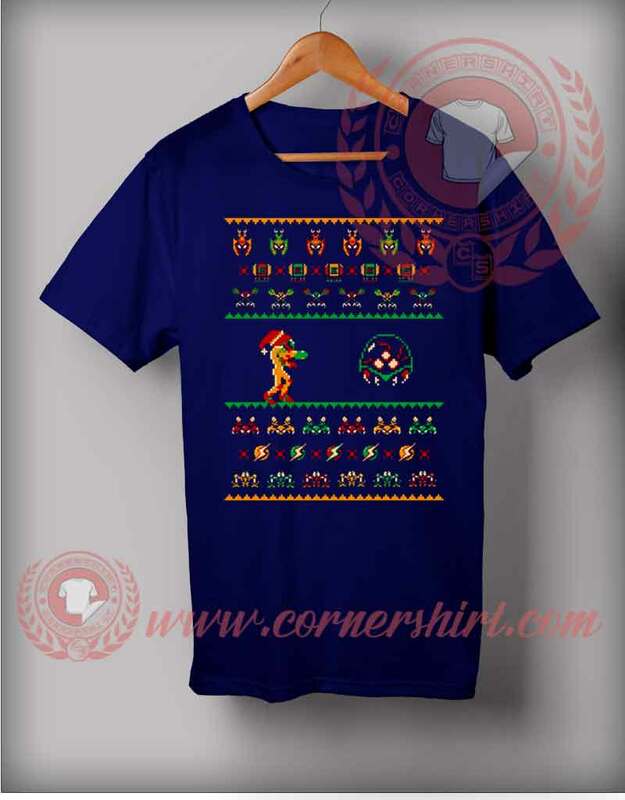 We Wish You Metroid Christmas T shirt will be a great gift for him or her because we use only best quality Custom Design shirts. The picture printed using Direct To Garment (DTG) Printing Technology make the shirt is the latest in ink to garment technology which is also eco-friendly and make your style be a look a like.